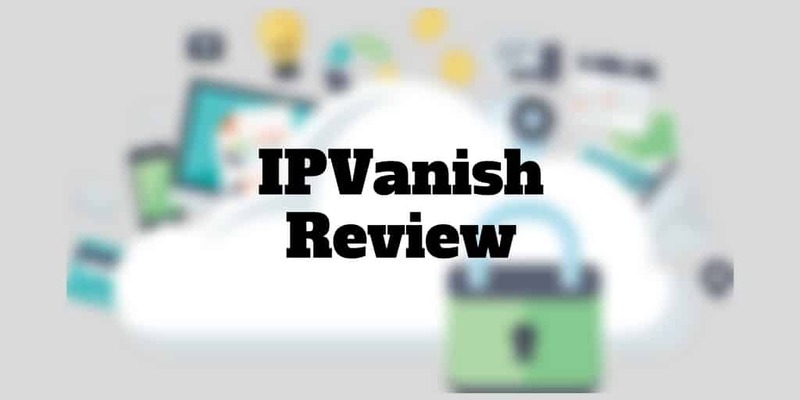 IPVanish Review: Like other virtual private networks (VPNs), IPVanish is designed to hide your internet activity from your internet service provider (ISP). If you want to protect your privacy or simply protect your data from the snooping glare of third parties, IPVanish is one of the best VPN services featuring over one thousand servers in 60+ countries, unlimited bandwidth, anonymous torrenting, unlimited P2P traffic, and zero traffic logs. Whether you use Windows, MAC, iOS, Linux, Android, Chromebook, Windows Phone, or FireTV, IPVanish is compatible. Compared to other VPN services, IPVanish has one of the most comprehensive offerings but you pay a slight premium for its jam-packed value-based service. Is IPVanish Right For You? How To Use IPVanish For Kodi? When Would You Use A VPN For Kodi? What is the IPVanish download process – how to use IPVanish? Does an IPVanish Killswitch exist? Should you be worried if IPVanish keeps disconnecting? Is an IPVanish free trial available? What if IPVanish Won’t Connect? IPVanish is a VPN network of over 1,000 servers spread across 60+ countries that lets you surf anonymously and access the internet unrestricted using secure connections to protect your data. 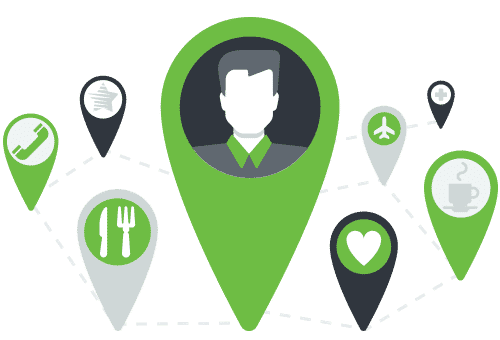 Like other virtual private network providers, IPVanish is especially valuable when you are connected online via free WiFi, for example at a coffee shop or an airport. These are the locations where your data is most at risk from hackers and data thieves, as well as snooping ISPs. IPVanish is designed to keep your data protected with its 256-bit AES encryption. The way it works is your real IP address is changed so your anonymity online is preserved. When you choose a VPN, data privacy and security are critically important. To protect your privacy, IPVanish has a strict “zero traffic logs” policy, meaning that the collection of both connection and activity logs is prohibited. It also uses 256-bit AES, the industry standard for electronic data encryption. When you make P2P and VOIP connections, IPVanish uses a SOCKS5 web proxy to mask your personal IP address, but data is not encrypted in these cases. As one of the best VPN services, IPVanish has one of the most extensive server networks, featuring 40,000+ IPs. Over 400 servers are in North America and Europe, as well as 50+ in Asia and Oceania, and a smattering in Central/South America and Africa. IPVanish is based in the U.S. and claims to be the “world’s best VPN service” but is it right for you? If you work in a profession such as journalism where data sensitivity is critically important, IPVanish may be ideal. Unlike some companies that promise anonymous browsing yet store your personal data and information on internal servers, IPVanish honors its marketing claims to defend your data by storing no logs. Your physical location is used by marketers to geo-target you and serve you ads. Without a VPN, advertisers know your zip code, state, region, city and country. They also know your IP address and ISP. When you use IPVanish, your real IP address is hidden so search engines and marketers are effectively blinded. They can’t identify your location so you can avoid bothersome ads and sharing personally identifiable information. IPVanish is designed to protect you from prying eyes when using public WiFi. It also gives you peace of mind that your bank information, passwords, usernames, and private accounts aren’t visible to data thieves who specialize in cybercrimes. All your online traffic is directed through an encrypted tunnel which shields you from hacking and spying. When you make telephone calls over the internet, or voice over internet protocol (VOIP), your communications with family, friends, and others are not secure. Some VOIP service providers charge a premium for international calls. If you want to maintain your privacy, get around censorship and firewall blocking, or lower your costs, you can connect to the worldwide network of servers provided by IPVanish. Once connected, your voice and video conversations are encrypted, so you don’t have to worry about your communications being intercepted. When you are on-the-go using your mobile device or traveling abroad and connecting to WiFi, your emails, bank data, messaging and social media accounts may be exposed to prying eyes and potentially even cyber criminals. The IPVanish mobile app secures your communications when you are on-the-go. You can download the mobile app onto iOS and Android devices and stay connected via an anonymous IP address. Your actual location is hidden when you are using a WiFi hotspot and your online data is encrypted. Torrents are used to share content and are commonly free. Because torrents can be used for illegal file sharing, they are understandably frowned upon by anti-piracy advocates. IPVanish has no qualms about catering to torrents and promotes anonymous torrenting as part of its service. You can use standard payment methods like credit card and Paypal. You also receive a 7-day money back guarantee after you purchase IPVanish. ✅ Zero Logs Policy: No connection or activity logs are collected. ❌ Slow Using Tor: Using TOR will improve your security and anonymity but upload and download speeds are negatively impacted when using IPVanish with Tor. ✅ 5-Devices Permitted: IPVanish has a generous device policy, especially for families who can connect up to five devices simultaneously. ❌ Customer Support: IPVanish earns mixed reviews from customers and receives poor ratings from the Better Business Bureau for keeping customers satisfied. ✅ Industry Grade Encryption: 256-bit AES encryption is used to secure communications. ❌ IPVanish Netflix: Netflix has different content in different regions. If you are in Europe looking to access the U.S. based version of Netflix, you will be disappointed to find IPVanish cannot get around Netflix filters unlike NordVPN. ✅ Fast VPN: We found connecting to U.S. based servers led to fast upload and download speeds but latency increased using servers outside the USA. 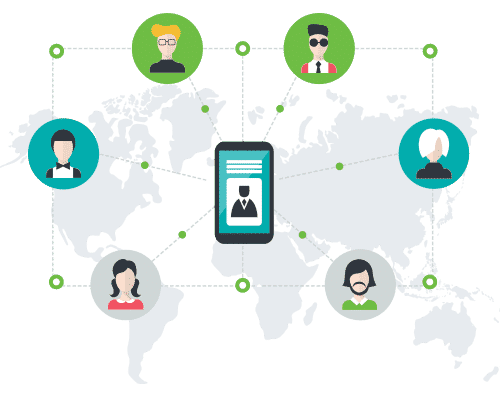 ✅ Extensive Server Network: IPVanish has one of the most extensive and far-reaching server networks featuring over 1,000+ servers in 60+ countries. ✅ Broad Device Compatibility: IPVanish is compatible with Windows, Mac OS X, iOS, Android, Windows Phone, Ubuntu, Chromebook, and Routers. ✅ Money Back Guarantee: Buyers receive a 7-day money back guarantee. ✅ Payment Methods: Beyond credit card and Paypal payment methods, IPVanish supports over a dozen other payment types. ✅ Anonymous Torrenting: Unlike many other VPN services, IPVanish supports anonymous torrenting. ✅ Unlimited P2P Bandwidth: When using its VPN for peer-to-peer networking, IPVanish guarantees not to slow down your connection speed. ✅ Unlimited Server Switching: You can switch to any number of servers as often as you wish. Kodi used to be known as the Xbox Media Center but in 2014 it was renamed Kodi by the XBMC Foundation. If you want to share streaming media content like music and videos around the home, Kodi is a popular solution that works with almost every operating system. Whether you are using a TV, tablet, phone, or laptop, Kodi provides a method to access and store content. Kodi isn’t just a free, open-source software app that caters to streaming music and video. It also allows users to watch live broadcasts from around the world, listen to radio, and download torrents. Kodi can function without a VPN but if you want add-ons that are frequently restricted based on geography, IPVanish VPN helps to get around borders. The bottom line is you can access Kodi add-ons from anywhere. If you use Kodi on a desktop or tablet, you can run the automated IPVanish app in the background to get secure access to Kodi add-ons. If you’ve got Kodi running on a Smart TV or set-top box, configuring IPVanish is a bit more involved but IPVanish provides setup guides for Mac, Windows, and Android. IPVanish challenges for the title of best VPN for Kodi because it gets around geo-location restrictions imposed by Kodi add-ons like IceFilms, BBC iPlayer, Hulu, and NBC Sports. Other add-ons, like Acestream, source data from torrents, a P2P file format that frequently records the IP address of file-seeders. If you want to get around censorship or identity protection, it is well worth considering the IPVanish Kodi VPN. IPVanish provides set up guides so you can configure IPVanish with Windows, MacOS, Android, and iOS. No, IPVanish is a paid VPN service. Unlike free VPN services that usually provide only one kind of VPN connection, IPVanish isn’t limited to Point-to-Point Tunneling Protocol (PPTP) that is not considered fully secure. IPVanish supports a Killswitch, which shuts down all internet traffic when your VPN connection stops working, for Mac OS X and Windows clients. An IPVanish free trial is not available but you do receive a 7-day money back guarantee with your purchase. If you are using IPVanish with Tor, you might find your upload or download speeds are slower so it seems like IPVanish won’t connect. If you still can’t access IPVanish, contact IPVanish support. IPVanish isn’t the cheapest VPN but if you are willing to pay a premium, you will get access to one of the best VPN services jam-packed with tools and enjoy a 7-day money back guarantee. The zero logs policy and industry grade encryption highlight that IPVanish takes privacy and anonymity seriously. IPVanish is compatible with a wide variety of operating systems and devices and features unlimited P2P bandwidth. It may well be the best VPN for torrenting and best VPN for Kodi. Plus, it wins high marks for cycling IP addresses and low latency when using U.S. servers. While IPVanish doesn’t earn the best ratings for customer support, it packs enough value into its service to make it a compelling choice. ‹ Could This App Be The Best Way To Get Out Of Debt?